I've downloaded the new BBM for Android on my Smartphone and I've started enjoying how it feels like to use BBM on Android but it took me so many hours before i could download BlackBerry Messenger on my Android phone. Wondering why ? According to our last post - Download BBM for Android and iOS. BBM for Android can only work on Android 4.0 ICS and above OS but despite the fact that my HTC Sensation runs on Android 4.0.4 ICS, I was unable to download BBM via Google PlayStore, i got an error like this - "This App is incompatible with all of your devices." Can you imagine ? Well, I don't even know if the problem is from Google PlayStore or the BBM App itself but I guess its from PlayStore. Anyway, I went a long way to download and install the BBM App on my phone (better not to explain that right now). So, Incase you are also facing something like this, you will really find this post helpful because I've included the download link to the BBM for Android App myself which means that you dont have to install BBM for Android via Google PlayStore, just download the BBM for Android file below, extract it (because its already in the zip format) and install it, then start chatting. 1. Download BBM.apk for Android. 3. 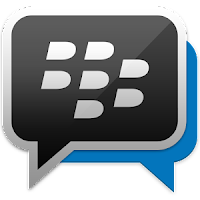 Install the BBM.apk App on your phone. 4. Login with your existing BBM ID or create a new one. 5. Set up your profile, get your PIN and start chatting. I guess you wanna add me on BBM, well - 76427B64. <--- That's my pin. Your comments, contributions, appreciations and suggestions are important to us. Kindly drop them by making use of the comment box below and don't forget to share this post with others. Have a great day/night !!! Have you used any unzipper to unzip it first ? Biyi.. I just understand what you were saying, I've corrected that and changed the download link. Thanks for letting me know.